I'm going to be talking to you today about makeup brushes. I'd like to say that this is like, "Makeup Brushes for Dummies", but maybe dummies is not the right word. You're pretty savvy. You know what's up, and you've been in the makeup game for a while. But maybe, just maybe, you're like I was, and you have no idea what the difference is between a smudge brush and a texture brush. Have no fear, I'm here to tell all... or at least all of the basic knowledge that I've learned about makeup brushes. Have you ever wondered why your "old faithful" foundation brush starts to make your face look muddy, or even worse, starts to break your face out? These are the tales of a dirty makeup brush. 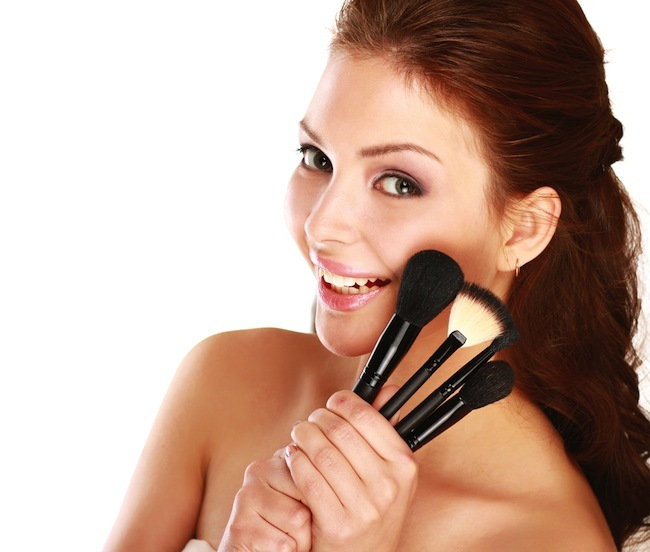 In order to have a flawless look, you'll need these babies to be clean and pristine! And it's not just old makeup that you're washing off. You're washing off the accumulated dead skin, dirt, oil, and bacteria that your favorite brush has been storing for you. (YUCK!) Fun fact: You should be cleaning your makeup brushes at least every two weeks...and eyeliner brushes need to be cleaned DAILY! Once you've got a clean and dry brush, be sure that you store it smartly. I personally use the GloMinerals Brush Roll. Foundation brushes are like paintbrushes for your liquid foundations. The best way that I've come across to use these brushes is to apply the foundation to the center of your face and sweep outwards towards your hairline and jawline. This gives you a great seamless finish! If you're not a liquid girl, try a base or a powder brush for your pressed bases. If you have areas on your face that need special attention, try out a concealer brush. I use these brushes to not only hide the occasional blemish, but also to clean up my lipstick edges! For blush, bronzer, or illuminator, try out a big fluffy brush like the Osmosis Colour Full Face Brush or a nice Kabuki for even distribution. When I think of all the different brushes for the eyes, the word "overwhelming" comes to mind. I used to just think I could spread eye shadow on my lids with my fingers...oh, if only it were all that easy! No fear here, there is a brush for that! 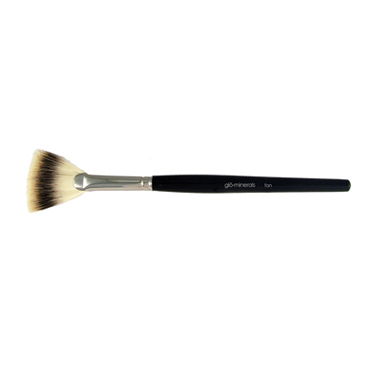 The basic shadow brush is for even application of your powder or cream shadows. Then we get artistic! There's the blender brush, which is pretty self-explanatory. The fluffy bristles diffuse your shadow so you can blend into your crease. Next, there's the smudge brush. The smudge brush is generally used to soften eye liner in order to achieve a smoky eye, but you can also use it to apply targeted accent colors to your inner or outer corners. Lastly, we have eyeliner brushes, which are angled perfectly to get those lids lined up with some liquid eyeliner. And as mentioned previously, wash these puppies daily! The basics are pretty simple, right? I had used a Q-Tip in the past to fill in my brows. Had I known how terrible it left me looking, I would not have done so. I had white Q-Tip remnants in my eyebrows and the ends of them were slightly rounded into a Q-Tip shape. Game changer: Brow Brush! These brushes are angled perfectly to keep your brows looking fab. Another awesome brow tool is the spoolie brush. Yes, it's mostly recognized for its abilities to help you kill it during mascara applications, but that doesn't mean it can't up your brow game. Basically you use it to smooth out your brows after you’ve filled in with a brow pencil. Bye-bye harsh lines, hello "naturally" beautiful! The Fan Brush: I like to call this brush my cleanup crew. I call it that because it is generally used to sweep away any fallen product and to blur and diffuse harsh lines. In addition to those cleaning duties, it's also a great brush for getting a more precise powder foundation application or applying skincare masks or peels. If you find yourself a little heavy-handed, you can even use this brush to apply your blushes or bronzers instead of a Kabuki. This brush is very multi-talented! 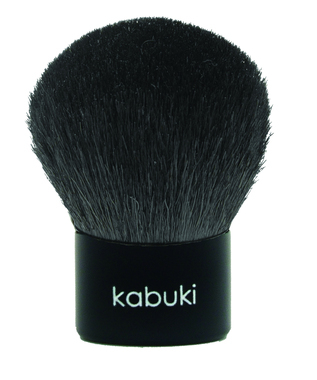 Now that you're in the know about brushes, go forth and be fabulous!